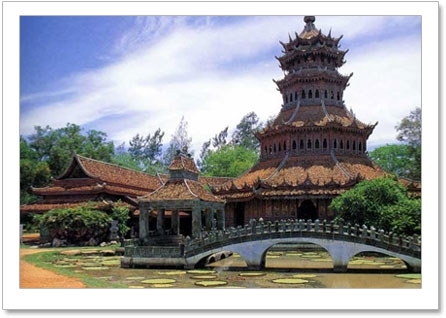 Mueang Boran or the Ancient City is the world’s biggest open-air museum. It occupies an area of 500 rais (200 acres). Construction began in the latter part of 1963. 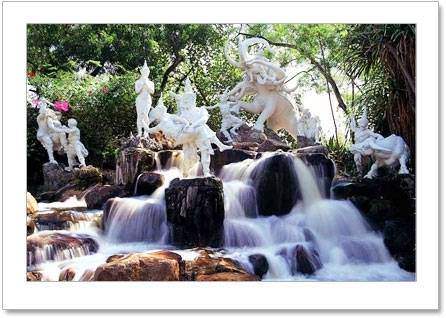 It is located at Tambon Bang Pu Mai, at Km. 33.5 of the old Sukhumvit Road, 8 kilometers from Samut Prakan town. 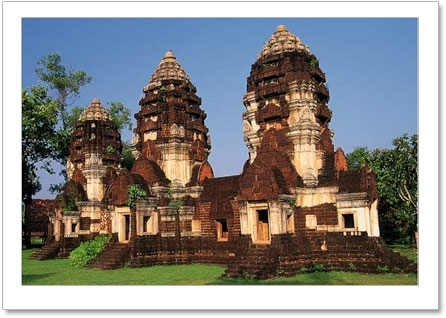 This unique attraction is the center of scaled-down and actual-size replicas of important historical sites of various provinces such as Prasat Hin Phanom Rung, Wat Mahathat Sukhothai, Phraphuttabat Saraburi, Phrathat Mueang Nakhon, Phrathat Chaiya, etc.. Furthermore, there are rare traditional folk arts and cultures, some of which are hardl to come by nowadays. 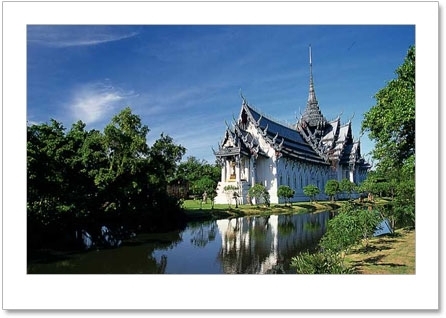 For those who wish to learn about Thailand, they will not be disappointed here. Getting there: by car, take the Samrong - Samut Prakan Road to Samut Prakan T-junction and turn left going along the old Sukhumvit road (road to Bang Pu), then at approximatley Km. 33 turn into an entry road to Mueang Boran and drive on for 8 kilometers, Mueang Boran will be on the left.